AVAILABLE NOW! CLICK HERE FOR YOUR PROPERTY OF NCW T-SHIRT! Only $15 per shirt plus shipping & handling. !CLEARANCE! CLICK HERE FOR YOUR PROPERTY OF NCW T-SHIRT! Only $12 per shirt plus shipping & handling. 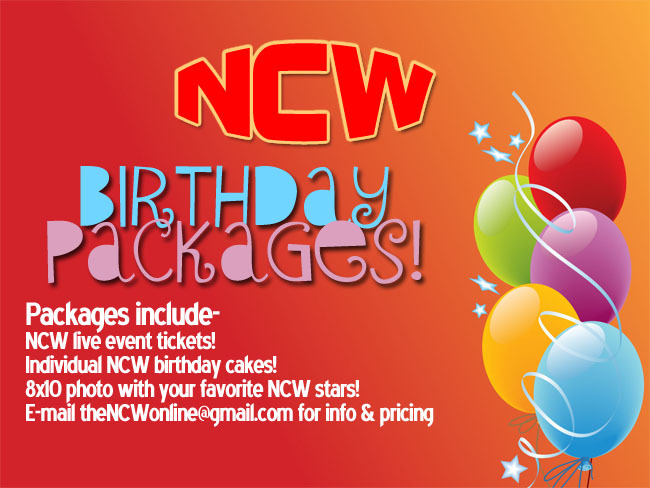 Purchasing an NCW event has never been easier thanks to our friends at PayPal and Vimeo. Just select your event! Once you’ve verified payment with Paypal NCW will send you your private password to view the show, with the ability to view whenever you like. 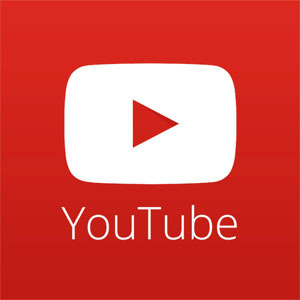 Once accessed you’ll also be able to download the video file right to your computer, stream from your smart TV, or watch right from your computer/mobile device. BONUS: Any NCW fan that has purchased one of these events on DVD will have the ability to access the digital copy of this show. Just email thencwonline@gmail.com for more details! Group tickets (adults & kids admission) with reserved front row seating! 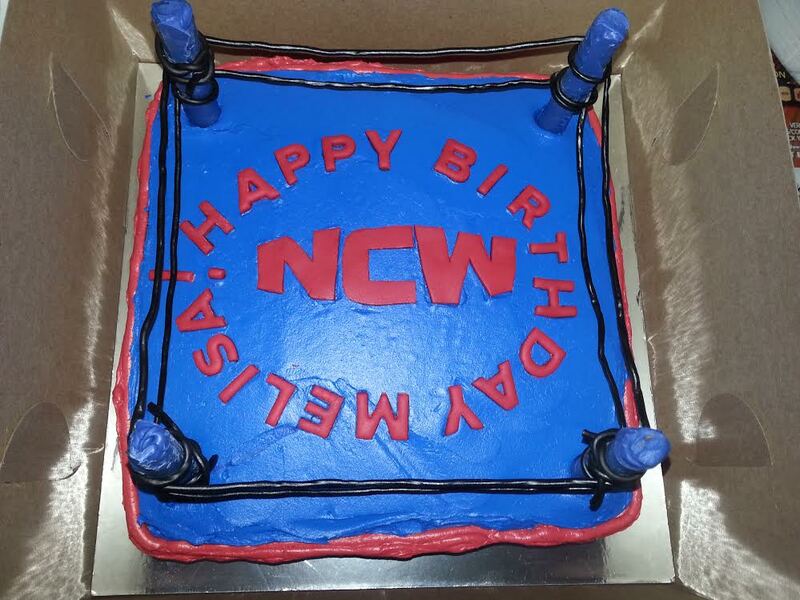 Individual or full sized edible NCW wrestling ring birthday cakes courtesy of Off the Cuff Confections! 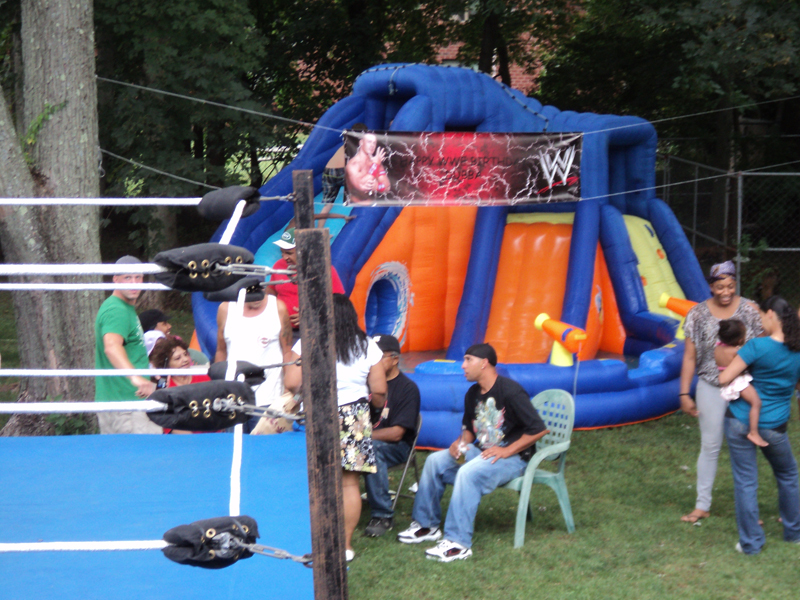 Photos in the ring with your favorite NCW wrestlers! 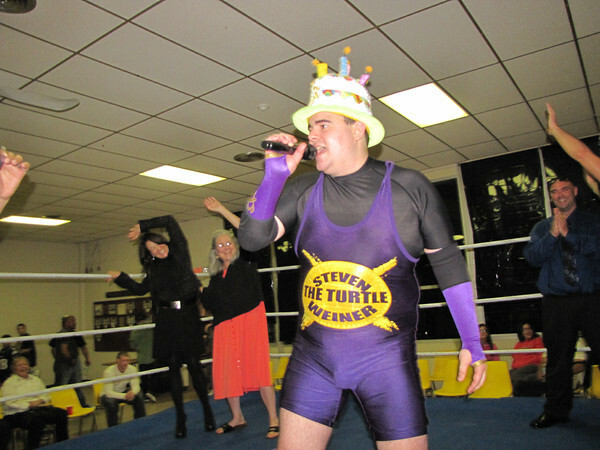 The NCW stars will sing Happy Birthday to you! E-mail theNCWonline@gmail.com for custom pricing and rates today and don’t miss out! 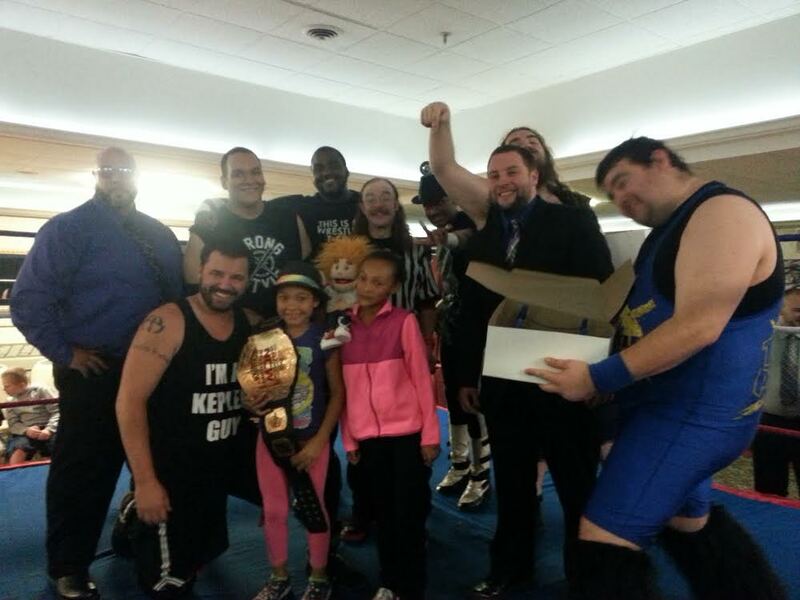 Wanted to follow up to say thanks to the wrestlers and anyone else involved in helping organize Friday’s event. You guys always do a great job from the matches but really go above and beyond with the smallest details (reserved seats, autographed hat, sunglasses, photos with the wrestlers and an amazing cake that looked like the ring, etc.) at a very reasonable cost. Overall you made it a very memorable night for Matthew’s 10th birthday. We look forward to attending future matches. Hi, curious of the price to rent and deliver a ring? Filming a movie next year and was hoping you could help us out with that. Hope to hear from you soon. Thanks!